Some Los Angeles politicians aren't exactly practicing what they preach. In June of 2009 the city of Los Angeles put tough new water restrictions into effect, aimed at getting citizens to cut water use by 15 percent, since the area is in the third year of a drought. 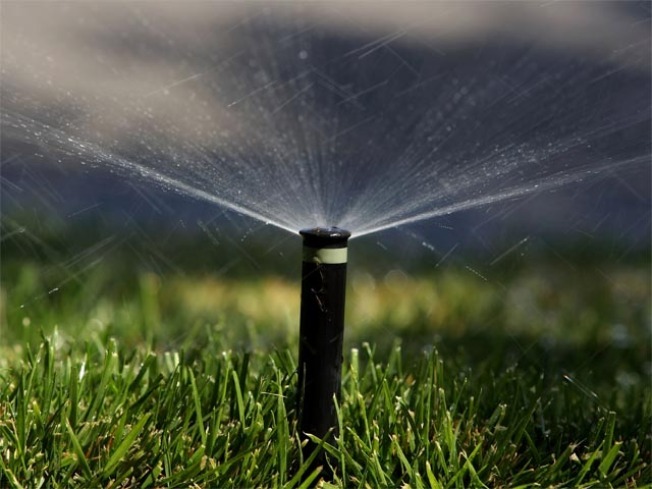 Yet in August NBC Los Angeles cameras caught Mayor Antionio Villaraigosa violating the city's water restrictions by running his sprinklers on days that are banned. Now, other local politicians have been caught using more than their fair share of water. It turns out public officials, who've ordered the rest of us to conserve water, aren't always practicing what they preach. So we asked local politicians to show us how much water they've been using. By law, it's public information how much water and power is used by any official who makes utility policy, such as the Board of Commissioners of the Department of Water and Power, and the Los Angeles City Council. LA City Councilman Greig Smith is one local politician whose actions don't match his policies. When asked "If you ask the citizens of LA to reduce their water usage, should you do the same?" Smith replied, "We better." Yet a recent DWP bill for the Councilman showed his water use wasn't down -- but up -- by 13 percent over the same period last summer. Smith, who said he was embarrassed by the bill, claims his water use was up because his backyard sprinklers went off every day when he went on a three-week summer vacation. Smith says he suspects someone "fooled with" his sprinklers, but has no proof of that. Whatever his reason, Smith is far behind the citizens of Los Angeles overall, who have reduced their water use this summer by 17 percent , according to the LA Mayor Antonio Villaraigosa -- even more than the city requested of them. Former Speaker of the California Assembly Herb Wesson , now an LA councilman, is not among those citizens who are conserving. Wesson's summer water bill showed a 130 percent increase over the same time last year. At first, Wesson blamed it on a water pipe leak in his backyard, which he says was fixed on Aug. 11. But even after the leak was supposedly fixed, Wesson's next water bill, covering mid-August to October, showed an even bigger increase: up 178 percent from the same time last year. He next blamed this increase on "a stream of relatives," who visited from July to early August. Then finally admitted "I honestly don't' know what caused that increase," Wesson said. Other LA City Councilmember's apparently didn't want us to see that their water use has been up, such as Councilwoman Janice Hahn, sister of former Mayor James Hahn . When she finally did provide her entire bill, it show ed her water use up 26 percent compared to last year . She blamed it on her son, who has been staying with her temporarily with his wife and baby. Some politicians are seriously conserving, however, like LA City Councilman Tom LaBonge. His latest DWP bill shows water use at his Silverlake home is down almost 37 percent. LaBonge says he's conserving, in part, by replacing his landscaping with drought-resistant plants. "You got to sacrifice a little bit for the good of everybody," LaBonge said. But other politicians still aren't forking over their water usage information, like City Councilman Richard Alarcon. When NBC Los Angeles first requested that Alarcon send us his DWP bill, his office e-mailed that they cannot get us his bill, because the councilman rents, and the owner of his home pays the bill. NBC Los Angeles later discovered that Alarcon's wife owns their home. Since the investigation got underway, some politicians are vowing to try harder to conserve. "I'll just have a family meeting tonight and see what we can all do to reduce our usage," Hahn said.